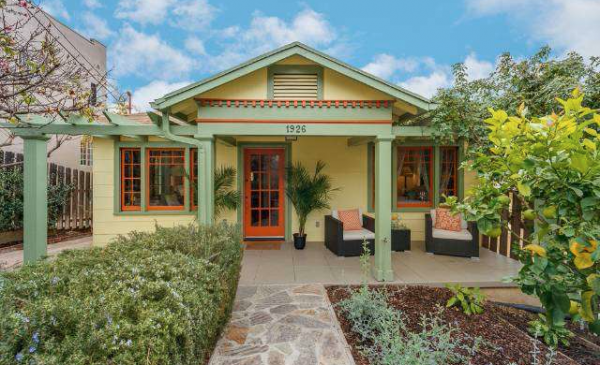 1926 Preston Avenue is what I imagine people think of when they envision California living — a small, inviting bungalow with a well-manicured lawn (drought-resistant, native plants and a fruit tree), and a lot of color. Yeah, this looks about right. 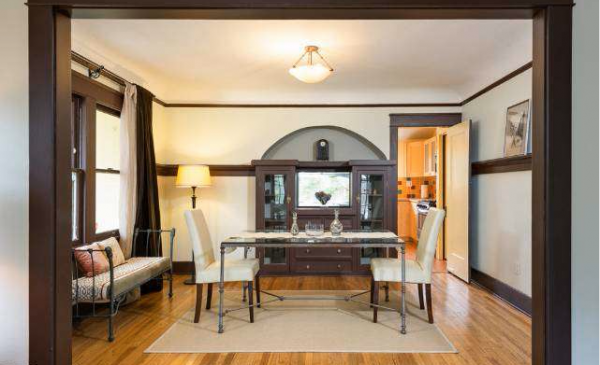 Originally built in 1921, this 3 bedroom, 1.75 bath home has the period details you want, along with all the modern amenities you require, at a competitive asking price of $699,000. Expect multiple offers. 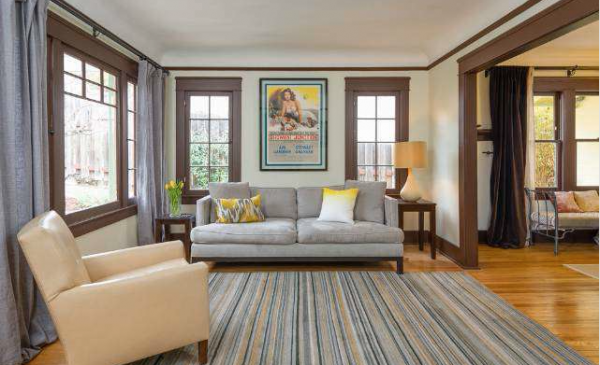 Hardwood floors and, original period window and door moldings, bring a pop of contrast to the bright, open living room and formal dining areas. The built-in cabinet is also original. The kitchen has clearly been touched by a contemporary hand, with modern appliances and cabinetry; though the farmhouse sink is a lovely throwback detail. 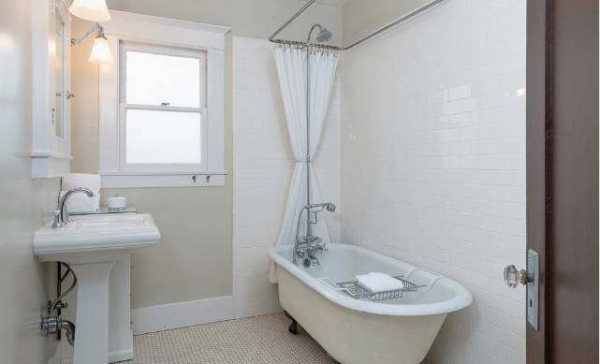 Thankfully, the bathroom remains vintage all around with tile floors, pedestal sink, and a claw-foot tub. 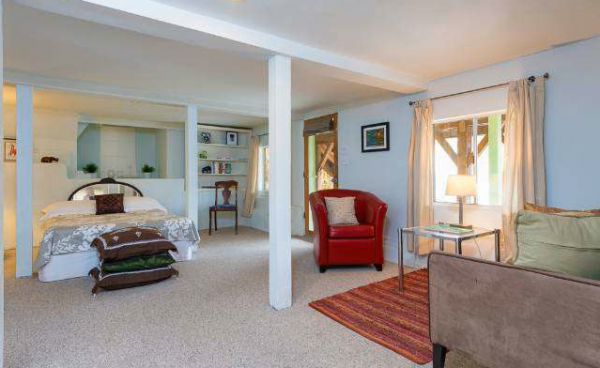 While the master bedroom is a decent size and receives a good light, the 2nd bedroom features French doors leading out to a large deck. 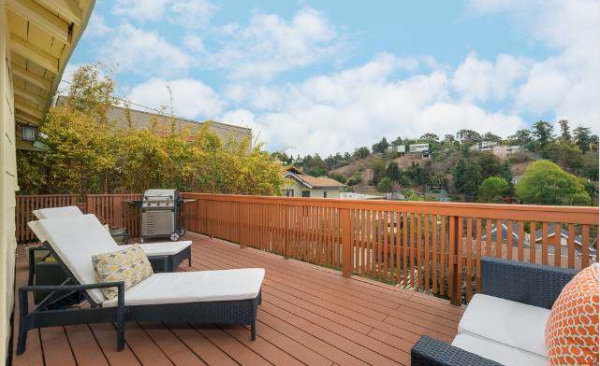 The deck features canyon views of Elysian Heights and enough room to entertain a party. Things get interesting downstairs. 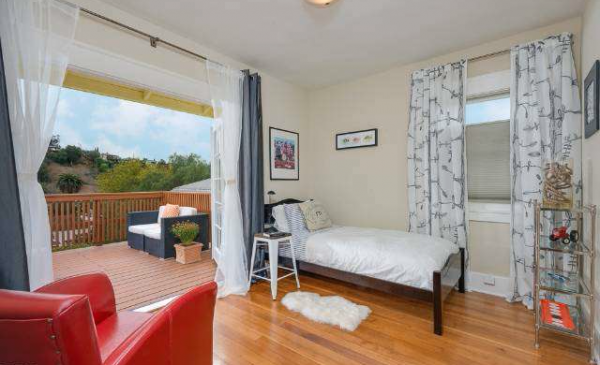 Boasting approximately 600 sq/ft of space, downstairs is large enough to be a bedroom, office, or den but with the inclusion of a kitchenette, dining nook, and 3/4 bathroom, there is income potential. The lower level even has its own outdoor area too, surrounded by a large, lush backyard. What I love most about the house is its serene feeling and thoughtful layout. 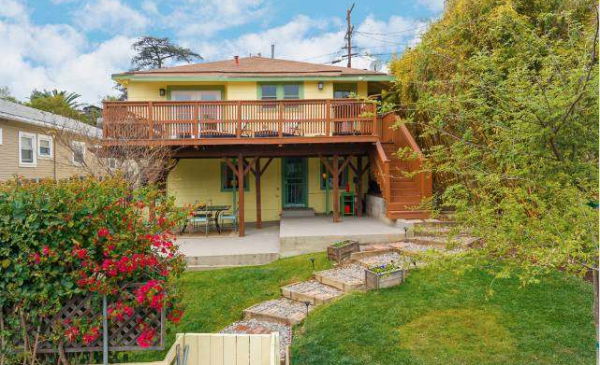 For a private showing, please contact Jovelle Schaffer at (213) 718-1110. 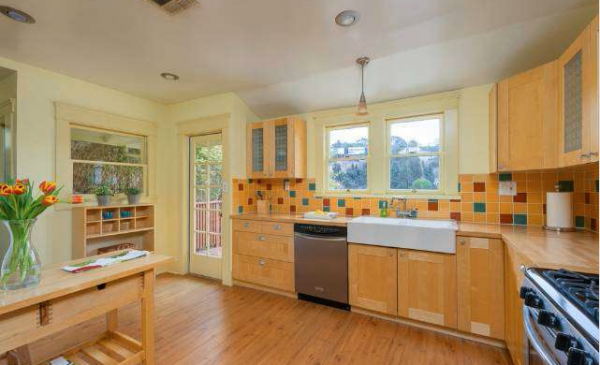 Peter Tomlinson of Keller Williams Realty, Los Feliz has the listing.